You are at:Home»Industry News»Guides and Information»Is your business wasting money? Is your business wasting money? Owning your own business can be tough. Everyone experiences highs and lows, especially if you are just starting out. If you’re like most small businesses, you are constantly looking for ways to drive additional revenue. But, have you stopped to look at the areas of your business that you are already wasting money on? Quality over quantity really is the answer here. Although it may look better to have a small expenses bill, if the same bill keeps recurring then maybe it’s time to invest in better quality equipment that lasts longer. 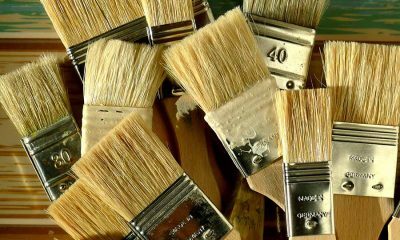 Consider investing in high-quality tools, such as your paint brushes. Apart from saving money in the long run from lasting longer, you will also create a much smoother and more professional finish for your customers. Remember, seeing is believing especially if you plan on sharing your work on social media. If you can’t yet afford to invest in the more expensive range of tools, then even making small changes can help. Such as buying canvas or cotton dust sheets instead of throwing away, one use plastic ones will help, and your savings will soon add up. Using supplementary products with high-quality products is a win-win situation. Using them could make you stand out from the crowd by offering the highest quality work. We recommend using paint conditioners such as Owatrol Floetrol when using any high-quality water-based paints. Floetrol makes interior and exterior emulsions and acrylic paints work more like oil-based paints. It allows the paint to adjust easier and quicker when working in difficult conditions such as hot, cold or windy environments. But the most important attribute of Floetrol is that it helps to eliminate brush and roller marks due to the improved flow of the paint and unlike damaging paint thinners or water, it does all this without affecting the inherent qualities of the paint or colour. I’m sure you will agree that sometimes it feels as though there are just not enough hours in the day. You may be wasting precious hours organising your upcoming week’s workload or perhaps doing your accounting. Project management tools can help organise your workflow and projects. For example, Asana is a web and mobile application that can help you and/or your team/s to organise, track and manage any aspect of work. From tracking enquiries to following the progress of a project you can make Asana bespoke to your way of working. What’s more, the mobile app means you can keep track on the go! If you have meetings or lots of calls to make in a day, it can be hard to check in with your team. As Asana is a collaborative task management tool it is great for helping everyone stay organised and know what’s going on without having to speak with them directly. 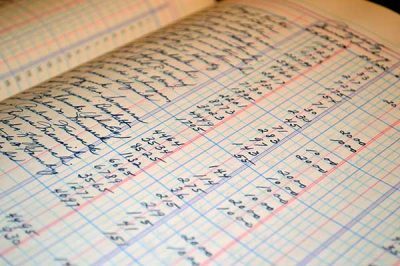 Do you find yourself spending hours on your accounts, or searching for that missing receipt you need for your expenses bill? There are online accounting tools that can help you eliminate those wasted hours. One such online tool is QuickBooks. QuickBooks is aimed towards small to medium sizes businesses and offer onsite accounting applications and well as cloud-based versions. You can accept payments, manage and pay bills and have payroll functions all in one place making it quick and easy to stay on top of everything. The QuickBooks app even comes with built-in receipt scanning to help you track and organise your expenses on the go. So, no more stress over lost receipts! Hopefully, these 3 changes could help you stop wasting money and allow your business to grow!